Whether you are curious and inquiring about Christianity, or, you are already a baptized Christian and want to enter the Catholic Church - WE WELCOME YOU. 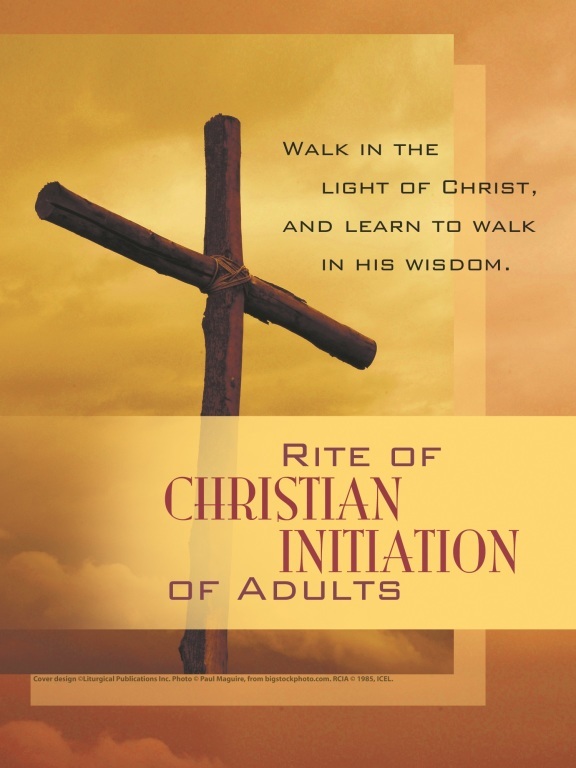 For those who are not Christian and have never been baptized, we offer an initiation program called, the Rite of Christian Initiation. It is presented by our parishioners and staff for either Adults, Teens, or Children. Each of these preparatory levels is a process that builds on God's invitation to you; the invitation to encounter Him in a personal relationship through Jesus Christ. The preparation begins every August and culminates in the spring at Easter by receiving the Sacraments of Baptism, Confirmation, and Eucharist (i.e. Holy Communion). However, if you have a question NOW about the Faith, the Catholic Church, or RCIA, RCIT, or RCIC, a staff member is available to respond to your inquiry. Let us know of your interest by contacting us with the form below and a person from our pastoral staff will respond. For those who are already baptized Christian (Baptist, Episcopalian, Lutheran, Methodist, et al.) the process is different. It is designed for those already living their faith in Jesus Christ but seek to deepen that faith within the Catholic Church. The preparation process begins at any time you are ready to begin. We help Candidates to understand the fullness of the Creed, the grace of the Sacraments, the styles of prayer, and the Christ-like way of life we are called to live. When a baptized Candidate is ready to profess their faith with the Catholic Church, they are brought into full-communion by receiving the Sacraments of Confirmation and the Eucharist (i.e. Holy Communion). "My experience with the RCIA was one of the most inspiring times in my life. The team showed me the path and guided and still guides me to become spiritually stronger in my faith with God. Thank you from the bottom of my heart." -Rose Z. "I went into RCIA expecting to receive the teachings of the church and to join the church. But, I received 3 things- 1) The gift of the teachings of the church 2) The gift of the Sacraments with Eucharist as primary, and 3) The gift of community." -Mike L.
"Fully joining the Catholic Church was something I had wanted to do for a long time but always seemed like a daunting task. Instead, my RCIA journey at St. Martins was one of the best decisions and experiences of my life. I looked forward to the weekly classes and enjoyed learning about the Catholic faith and traditions and creating friendships with others in the church. The team was incredibly welcoming and immediately made me feel like part of the church community. They were open to answering any questions I had and lead our class in engaging and informative discussions each week. At the end of the class I felt like I had a strong foundation to continue my religious journey. They provided me with a support system and resources that continued to guide me after the program ended. It was a wonderful experience that I would suggest to anyone hoping to learn more about joining the Catholic Church." -Jamie D.
"RCIA educates us to the teaching and the beliefs of our catholic faith. In return, I received faith, hope, peace, and a purpose to life. My relationship with God grows each and every day. I think I could write a book on my experiences with RCIA. I hope my testimonial will inspire others to join our faith too." -Patti B. We invite you to let us know of your interest and/or question concerning this process by calling us at St. Martin of Tours Parish or submitting the Inquiry Form below. Either way a member of our pastoral staff will respond. God bless you. Which of the following describes your religious affiliation. Select I was never baptized but want to be. I was baptized in another Christian tradition. I was baptized a Catholic but not Confirmed. If you have a question about becoming Catholic, please write it below. Thank you for your interest and inquiry. A member of the pastoral staff or RCIA team will respond shortly.